I have the idea that I'm going to brew an Autumnal Saison every year and trade off ingredients each time. This year I went with pumpkin and butternut squash. I'm already wanting to do another with some acorn squash and maybe sweet potatoes. I'll hold off until next year for that one! Until then, here are the tasting notes for the pumpkin and squash Saison brewed here. fogging the glass but it was crystal clear. Appearance: Golden ruby in color. Off white head that sticks around for a good while. During the course of the glass there was decent lacing and a cap of the head stuck around until I refilled the glass. The second pour kept an island of bubbles around the entire time. Carbonation streams up the side of the glass. Great look for a fall beer. Aroma: First whiff you pick up hints of the spices. There isn't a big standout in the spices which is exactly what I wanted. The spices blend well with the yeast. There is a hint of sweetness in the form of a light caramel. I am sure this is from the grains. Little bit of a bready note in there too. After all of that (and the glass warms a bit) you can pick up the gourd notes. Much better aroma of pumpkin in this one than my last pumpkin beer. I'm sure the butternut squash helped with that. Nothing to vegetal at all. I think the nose could be improved. Maybe more butternut squash and maybe adding some to the boil would help. Flavor: The first flavor I pick up when tasting is a bready sweetness. The Golden Promise and Golden Naked Oats definitely shine here I believe. Some cinnamon and ginger notes come in as well. There is a brown sugar flavor almost like maple without being to sweet. 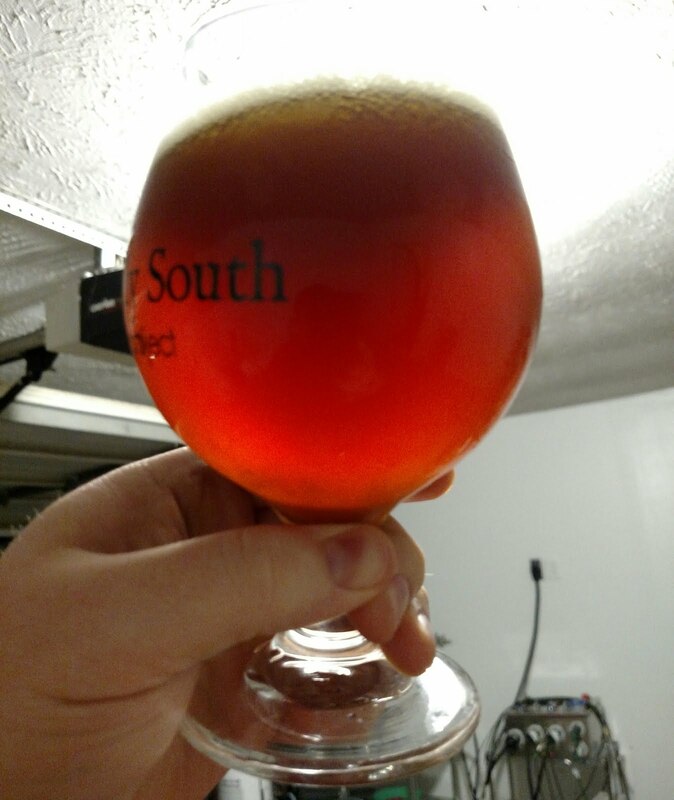 The beer did dry out very nicely so the flavors are there without a cloying sweetness. I really like that. After I swallow I again pick up the pumpkin flavors. It's not super prominent but it is there. There is also a subtle tartness to it. Almost like a tart green apple or maybe tart grapes. Extremely subtle though. I'm sure that comes from the yeast. Mouthfeel: The mouthfeel is medium with the prickling of carbonation helping to move it through the palate. I think if the carbonation was lower it would seem like a much fuller mouthfeel. Glad I kept the carbonation up around 2.8 vols. Overall: I think the nose could be improved. Maybe more butternut squash and maybe adding some to the boil would help. That would help to add more gourd aroma and flavor I believe. 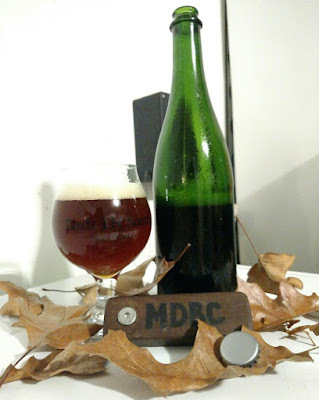 I'm pretty happy with this beer overall but there is always room for improvement. I think I nailed the spice additions. They are there but they are subtle. I definitely didn't want this beer turning into a spice soup. If I brew this again, when I brew this again, I'll add more butternut squash and maybe try it with my French Ale yeast for a Biere de Garde take. That will be a great project for next year. The next version of my Autumn Saison will probably take a different direction. I plan on doing more seasonal brews and changing up some things while keeping the base idea intact. It should be fun to see what comes from the experimentation! If you've ever thought about doing a pumpkin beer, try a Saison yeast with it. You can definitely brew a great beer with US-05 or even an English Ale yeast, but I think the Wyeast 3725 Biere de Garde (actually a Saison yeast from Fantome) did a great job. I've passed some of these out to friends and co-workers to get their thoughts. My girlfriend was impressed with the beer and enjoyed it. If anyone makes some standout comments I'll post back with them.